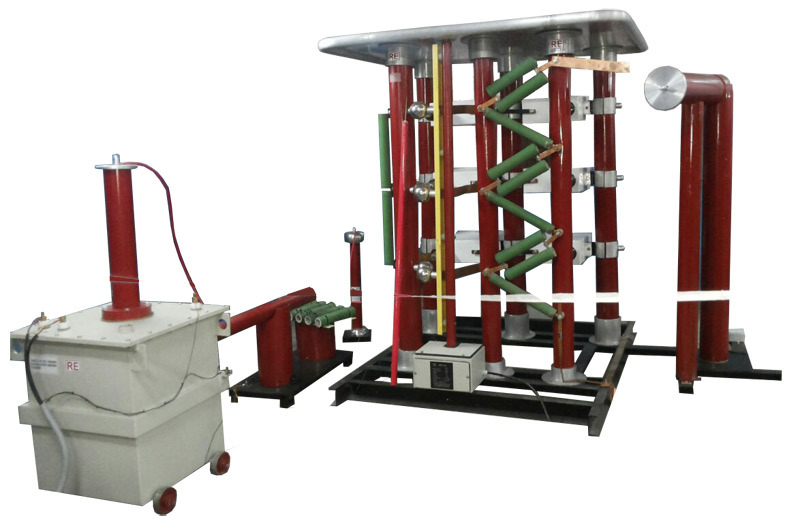 Impulse Voltage test systems are mainly used to check insulation performance of HV apparatus including Transformers, Reactors, Power Cables, CT/PT/CVT, Insulators, Bushings, Lightning Arrestors, GIS Switchgears, Motors / Generators etc. IVG are mainly used to generate standard lightning impulse full waves, Switching Impulse wave, impulse voltage ranges from 5kV to 500kV, energy from 2kJ to 50kJ. 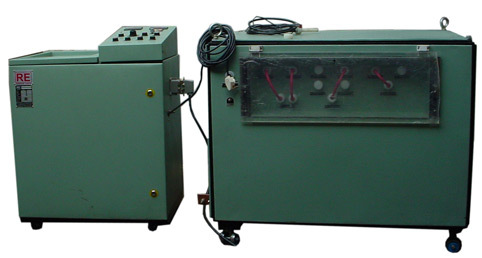 It can be used to carry out steeping and oscillating impulse test by adding some extra component. It operates with a PLC based control system. Charging time and charging voltage can be selected. Once the selected charging voltage has been reached, a trigger pulse initiates the firing of the lowest spark-gap of the impulse generator. When all the spark-gaps fired all the stages are connected in series thus multiplying the impulse voltage. The impulse voltage divider reduces the impulse voltage to a value that the measuring and recording instruments require. 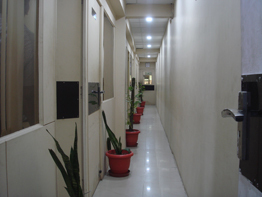 Excellent and efficient service as the product is indigenously designed. 10 Waveform Measurement By Impulse Analysing Software. 11 Saftety Features Safety Interlock Alarm, generator auto grounding, over current, over voltage, and phase protection, emergency stop. Triggering Manual and automatic trigger arrangement , Triggering signal can be time delayed. Auto charge function Constant current charging; Regulation of charging voltage, charging, time; Charging control in manual or auto. Action Control The sphere gap follows charging voltage value automatically. Parameter Setting The gap adjustment is manual / motorized. DC charge voltage, charge time, discharge sphere gap, Operation triggering mode and polarity switch, etc.